1/10/2018 I have never much liked ivy – except when it radiates sparrow chatter – and I don’t know many people who do. 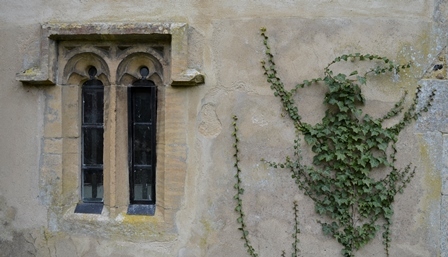 There is only one context in which I think it has any aesthetic appeal: growing, spider-like, up the outside of an old church wall or door. But I know those conserving the buildings must be at constant war with it. Six years ago, when I first started walking along the South West Coast Path, I had an entirely new experience of ivy. Almost simultaneously I heard a loud buzzing and noticed a strong smell of honey. I looked ahead and saw a long stretch of hemispherical yellow-green flowers on both sides of the footpath. They were covered in bees, wasps, bumblebees and hoverflies. Butterflies were also fluttering about them. 2/7/2018 Since the appearance of the first shiny, translucent lime leaves in April, which I considered including in my spring highlights, I have had no thought of writing about lime trees. But when I walked along a country lane during a short break in the Norfolk Broads last week and passed under a lime tree in flower, it stopped me in my tracks. I heard it first, and then smelled it. Only then did I look up to see what was above my head. They are not the most eye-catching of flowers – except when lit up by the evening sun – and I find it hard to use the word ‘blossom’ to describe them, though strictly speaking it is the correct term. 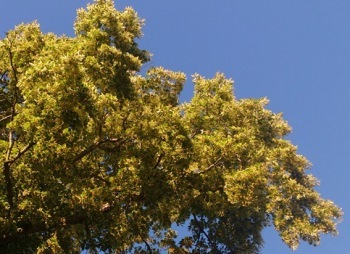 I associate this word with colourful clusters of small flowers covering a tree, such as fruit tree blossom, which differs greatly from lime flowers. But the bees love them, and the smell is heavenly. 31/5/2018 I have resorted to partial cheating again. May possesses so many treasures that I could only get round to writing about a few of them, a problem that was exacerbated by the late arrival of so much that ordinarily belongs to late winter and early spring. 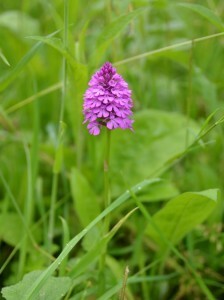 But then growth and flowering caught up, and many weeks of flowers and blossom were condensed into just a few. 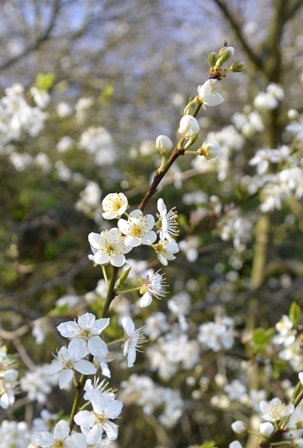 This year there were barely two weeks, instead of two months, between the last of the blackthorn blossom and the first of the hawthorn; a very strange state of affairs. May isn’t only the month of cow parsley, but also of wisteria, laburnum, wild garlic and bluebell woods, all of which I love. Due to bad weather, time constraints and timing misjudgments, I didn’t make the most of the woods this year. Bull’s Wood is my favourite place to go for oxlips in late April and wild garlic from April to early May, but despite my good intentions, I didn’t manage to get there. 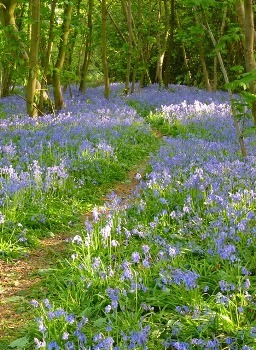 Bluebell woods are to be found in many places in Suffolk: Priestley Wood in Barking, Captain’s Wood in Sudbourne and Dollops Wood in Polstead (photo right), to name just a few. This year I went to Dollops Wood, but I forgot that my garden’s seasons are usually at least a week or two behind everywhere else. My bluebells were at their peak, so I thought I would be in time to catch them in the woods, but as soon as I arrived I realised they were on their way out. There were still enough flowers for me to enjoy them, but the blue haze would have been far more luminous a week earlier. 23/5/2018 On the radio the other day I heard cow parsley and nettles being referred to as the ‘thugs’ of the wild flowers. 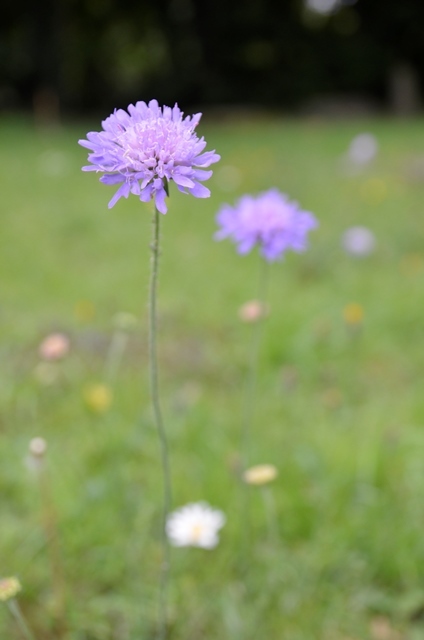 Apparently they thrive in the countryside and on road verges to the exclusion of other wild flowers due to added nitrogen from car fumes and agricultural fertilisers. I was immediately indignant. On reflection, however, logic has permitted me to accept that this may be so. But it doesn’t stop me loving cow parsley. 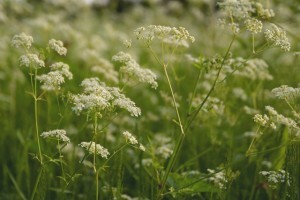 My garden, which has never been fertilised – except perhaps by goats and chickens in the last few years – has always grown into a jungle of cow parsley in May and June, reaching above my head as a child, and nothing makes me happier than seeing it everywhere in the May countryside. Without it, spring almost wouldn’t be spring. 7/4/2018 My belief that spring might have arrived was premature. More than a week later, there is still barely a green leaf to be seen, barely a ray of sunshine to be felt. The meadows along the Brett Valley are flooded, and my garden pond is encroaching on the lawn. It hardly seems feasible that exactly a year ago I saw my first swallows of the season: I expect I will be waiting a good few weeks longer this year. Perhaps the feeling of extended winter has been partially responsible for my slowness in choosing a second spring treasure. Busyness over Easter accounts for another part of the delay, and the remainder – the biggest obstacle – has been caused by at least five changes of mind over which particular spring wonder to settle on. The unusually slow progress of the season means that many delights of early spring, which usually take place consecutively, are coinciding this year, and choosing between them is nearly impossible. I feel like a bumblebee buzzing from flower to flower, too excited about the appearance of so many different food sources at once, and unable to decide which nectar I like best. Last week I opted out, but I feel it is high time to commit myself. A sunny day finally arrived a few days ago – the first since I last wrote – and sitting on the terrace in the sun was more conducive to forcing myself into a decision. I chose blackthorn. A blossom that I was half expecting to include in my late winter treasures, and the first to put some colour back in the hedgerows.